Tacoma Poet Laureate Lucas Smiraldo has partnered with the City of Tacoma and The Greater Tacoma Community Foundation to launch the Laureate Listening Project, an interactive audio anthology website where recorded oral poetry from members of the region will be mapped to provide a permanent record of the lives, ideas, concerns, and celebrations of a diverse community through the vehicle of poetry. 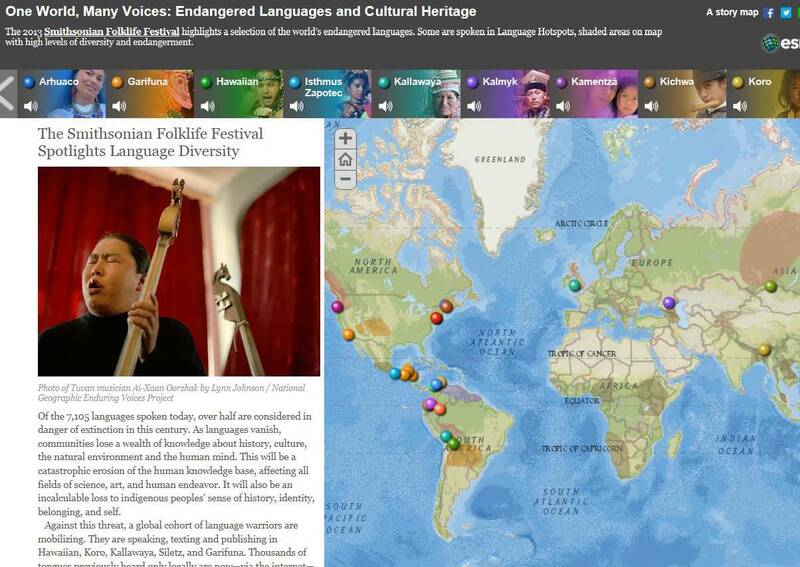 Endangered Languages and Cultural Heritage audio map. Are you curious about what an ‘interactive audio anthology website’ looks like? Here’s an example of a similar audio mapping website that highlights endangered languages around the world. Smiraldo is also leading a team of poets as an artist in residence for the Race and Pedagogy National Conference at the University of Puget Sound this September. Poets and other artists will function as creative journalists to document ideas, challenges and solutions to address the topic of education in a dynamic and changing America. 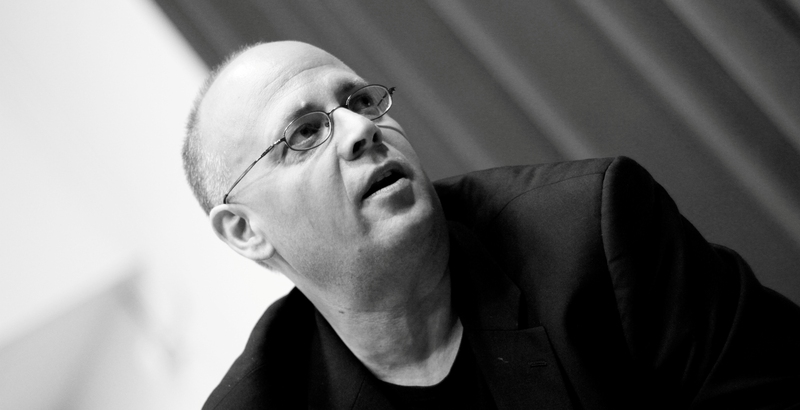 He plans to include audio pieces collected from conference participants in the Laureate Listening Project. Funding for the Laureate Listening Project is made possible by a Spark Grant from The Greater Tacoma Community Foundation. Mapping capability is made possible by the City of Tacoma. The Tacoma Poet Laureate position is appointed and administered by the Tacoma Arts Commission. Information about the Tacoma Poet Laureate program is available on the Tacoma Arts Commission website. The Greater Tacoma Community Foundation was created to help build a stronger future for the Pierce County region. For over 33 years, the Community Foundation has partnered with generous individuals, families, community leaders, nonprofit organizations and others to strengthen the community through powerful and rewarding giving. Building a thriving, engaged, and caring community is central to its mission. In 2013, the Spark Grants program was launched to provide $1,500 micro-grants to support everyday people who want to spark positive change in their neighborhood. More information is available at gtcf.org/sparkgrants. 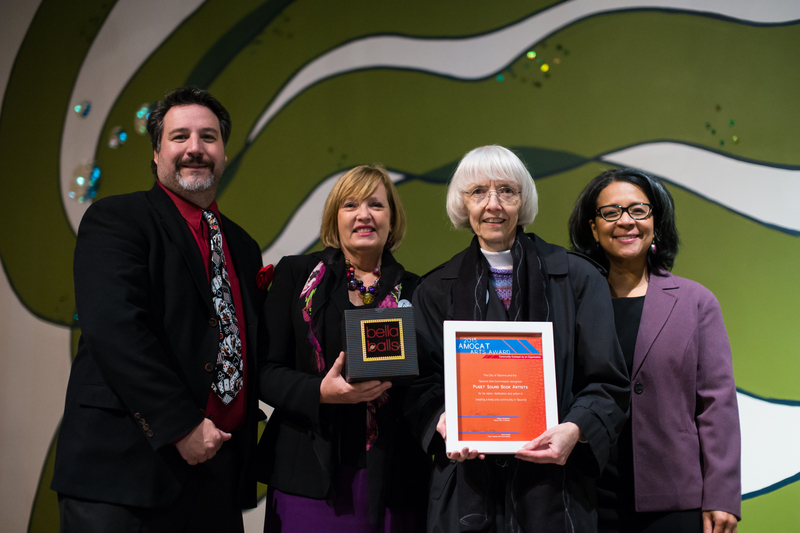 The Tacoma Arts Commission is currently accepting nominations for the 2014 AMOCAT Arts Awards. To make a nomination, simply fill out the online nomination form. Nominations are due by August 1, 2014. The Tacoma Arts Commission will review all nominations and select one finalist in each award category based on the breadth and depth of the nominee’s community impact as well as the quality of the work being done by the nominee, not by the number of times the nominee has been nominated. Mayor Strickland will present the 2014 AMOCAT Arts Awards at the Tacoma Arts Month Opening Party on Oct. 2. In the category of Community Outreach by an Individual, past winners include: Lynn Di Nino, Jared Pappas-Kelley and Michael S. Lent, Laura and Matt Eklund, Lance Kagey and Tom Llewellyn, Linda Danforth, William Kupinse, Oliver Doriss, Stella Haioulani, Katy Evans, and David Domkoski. In the category of Community Outreach by an Organization, past winners include: Tacoma Art Museum and Museum of Glass Education Programs, Arts Impact, Tacoma School of the Arts, Barefoot Studios, Victory Music, King’s Books, Hilltop Artists, Fab-5, D.A.S.H. Center for the Arts, The Grand Cinema, and Puget Sound Book Artists. In the category of Arts Patron, past winners include: Sound Transit Art Program, Pierce Transit, 6th Avenue Business District, The Weekly Volcano, Hotel Murano, City Arts, Urban Grace Church, The Greater Tacoma Community Foundation, Key Bank, and Erivan and Helga Haub and family. Additional information about the AMOCAT Arts Awards can be found online.